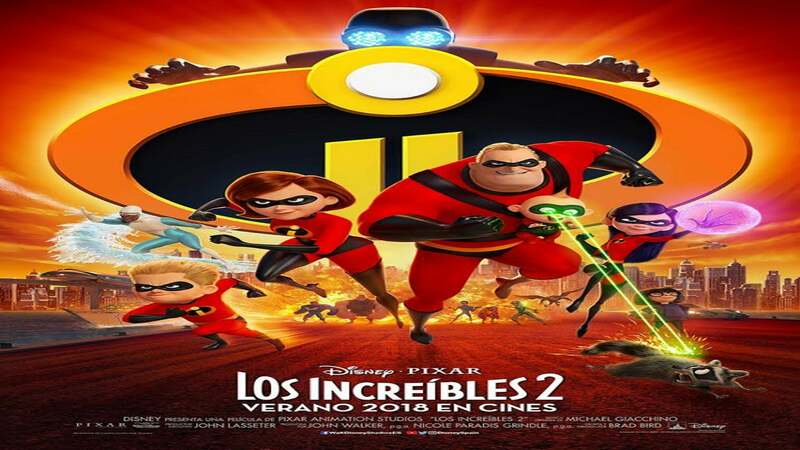 The Incredibles returns ya!!!!!! baby!!!!!!!! As good as the first movie, but not better. They are both great. 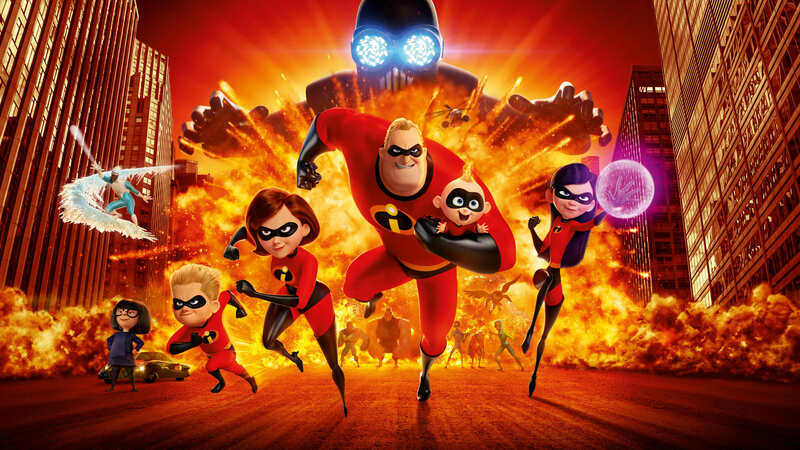 Not beholden to Incredibles: Rise of the Underminer. That's not so good, but not bad. 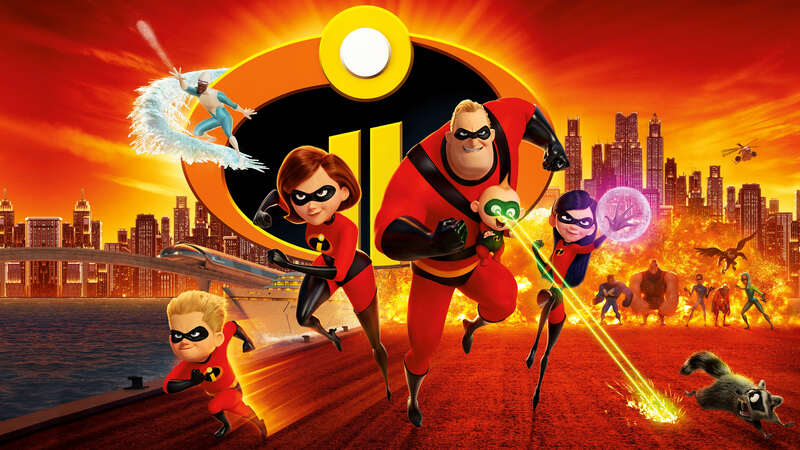 The reason Incredibles 2 ignores that game is probably because if it was beholden to that game, there wouldn't be surprised. The flashing lights have been removed for legal reasons. Epilepsy. I'm a bit put off by the fact that the Underminer isn't captured and remains at large, and that no one knows where he is. 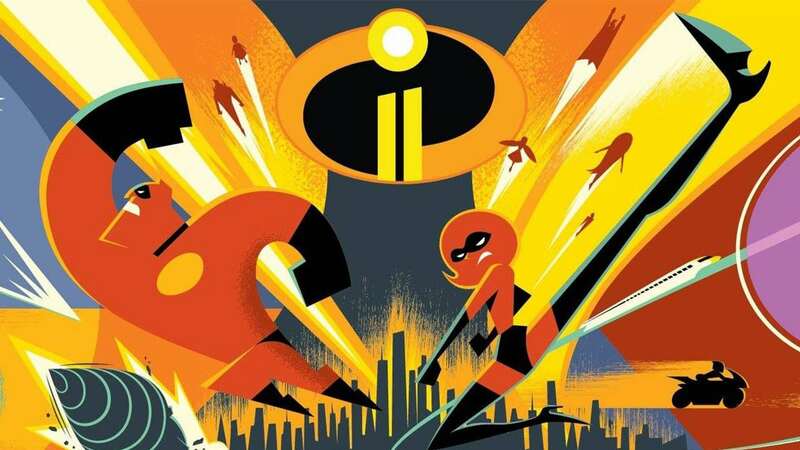 If there's an Incredibles 3, I hope that the Underminer is caught in it. I like the high technology like hovertrains and jet choppers. Not quite as far out as the first film. The first film had advanced battle robots, an SR-71 Blackbird-like jet, an island with vipers, buildings built into mountains, and such. This second film is in the mainland, and is about computer technology rather than automated robotics and military vessels. That's what I like better about the first film. Syndrome was cool with gadgets, but now he's dead his gadgets aren't passed on. One thing I don't really like is, well, let me explain it... Superheroes were made illegal in the first film because of the damage superheroes have been blamed for. 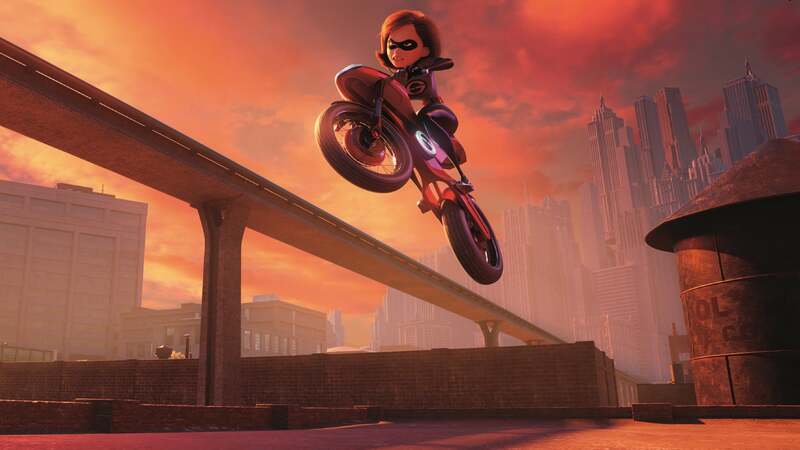 Considering that, you'd think Elastigirl, Dash, violet, and other superheroes would learn from that and be less reckless and less destructive in this movie and cause less damage. But that's not the case. In spite of the reason that superheroes were made illegal, superheroes in this movie continuing break through windows and walls and other things. I know, sometimes that's necessary. That finishes the explanation. One bad thing is five inappropriate words as another review said. And taking the Lord's name in vain. They should edit the movie and make an edited version of this movie that replaces words. Such a censored movie should have "damned" replaced with darned, "my god" replaced with "my gosh," and "hell" replaced with heck. 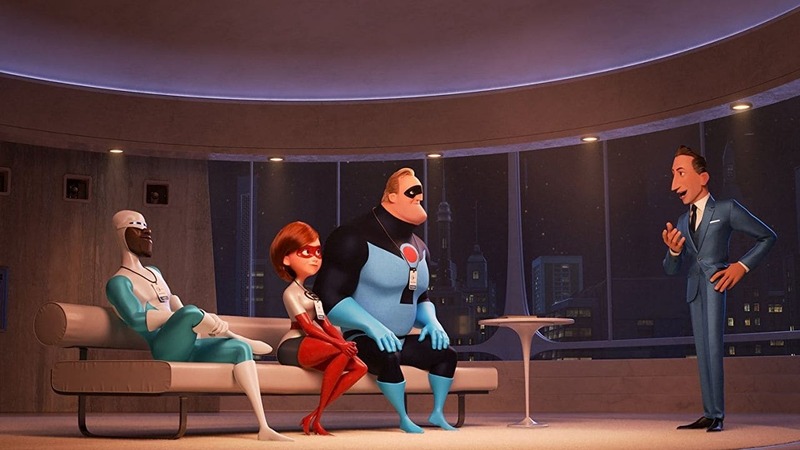 As much of a fan I am of The Incredibles, I’m not too happy the fact this movie contains Strobe lights which would not be appropriate or legal for family movies like this because strobe lights are a well known way to trigger seizures for people who were diagnosed with them. That it no laughing matter. This movie is awesome and I recommend it to anyone who likes the first one or just anyone in general. My G.0.$.H. !+ wuz [email protected]+ !ncred!ble. +h!$ wuz +he 20+h D!$ney [email protected] f!lm [email protected]+ wuz ever [email protected]$ed. Eye [email protected] th!$ f!r$+ !n [email protected] B4 [email protected]+her'$ [email protected] 0n June 16, 2018 & '[email protected]!n 0n July 18, 2018, & n0w +he +h!rd +!me [email protected] 0n [email protected] 17, 2019 0n Ne+fl!x by [email protected]+!n' [email protected] Eye [email protected] $een !ncred!ble$ 2 +hree +!me$ & !+ wuz be++er [email protected] +he 6+h D!$ney [email protected] f!lm +he !ncred!ble$. This represents 14 years of story-tweaking by committee. There are few good action scenes but the rest is tedius and boring, plus there are holes. The Underminer is simply dropped. The memory-wipe is out of sequence. The movie just goes on and on, plus they don't show how things are resolved. They could have cut this down by half an hour and had a passable film. As for the glowing reviews, did these people actually watch the first movie? The sequel is just plain bad storytelling, pure and simple. 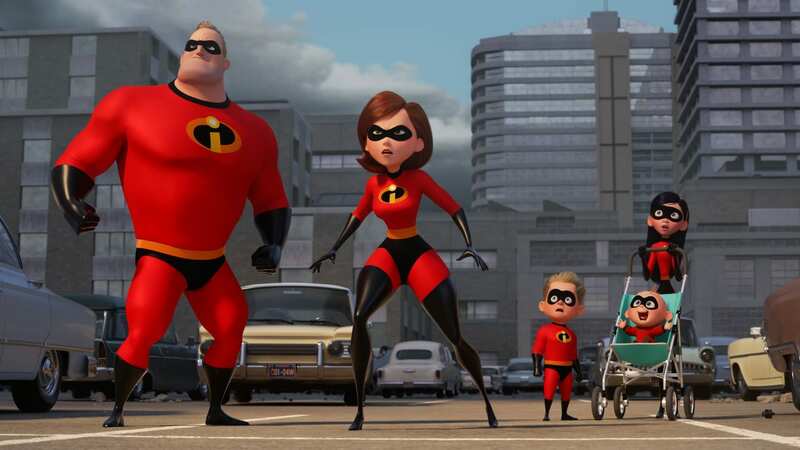 It was an okay second movie to the Incredibles, but it wasn’t great. Nothing particularly wrong with it, but it’s not something I’ll be recommending to my friends.